A patio is probably one of the most important places in a house. This for me is a place of the family re union, where the entire family gathers to have and spend some quality time with other family members. So we are bringing you some awesome patio creations to make your patio more important delicate and appealing. As you just can not put outside some expensive center pieces or decoration pieces. These ordinary patio creations are going to be a perfect substitute to decor your patio. 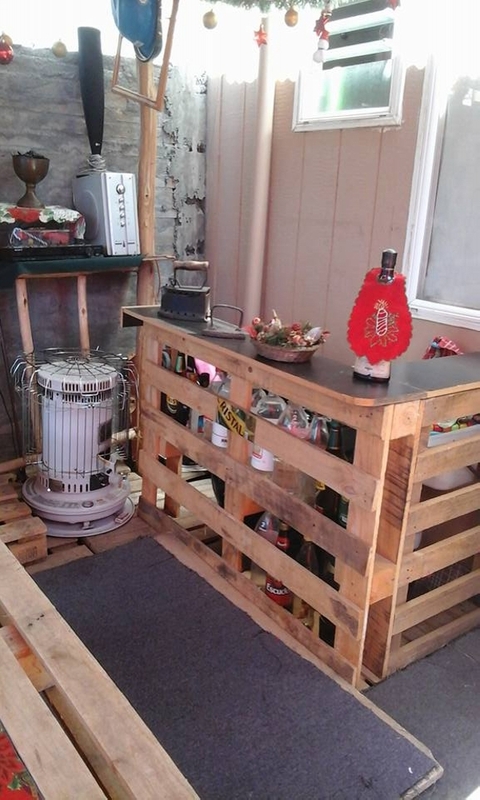 These cute and adorable patio creations are going to be recycled with the mere wooden pallets. So what exactly we have got here really? 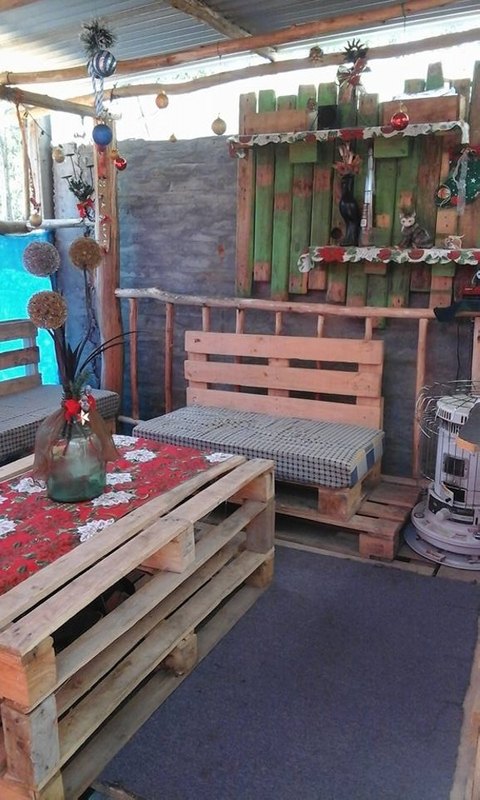 Well, we see here some marvelous patio creations recycled with the wooden pallet. 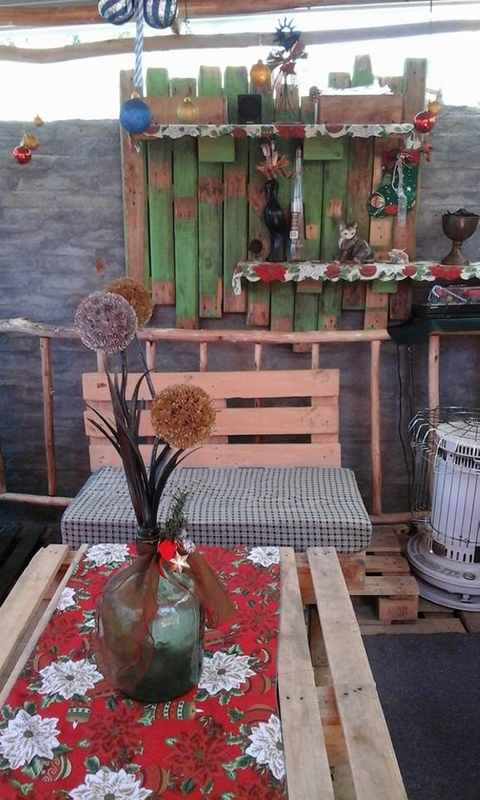 First of all we see pallet upcycled wall art idea here. Straight wooden pallet planks are just installed along the wall here. 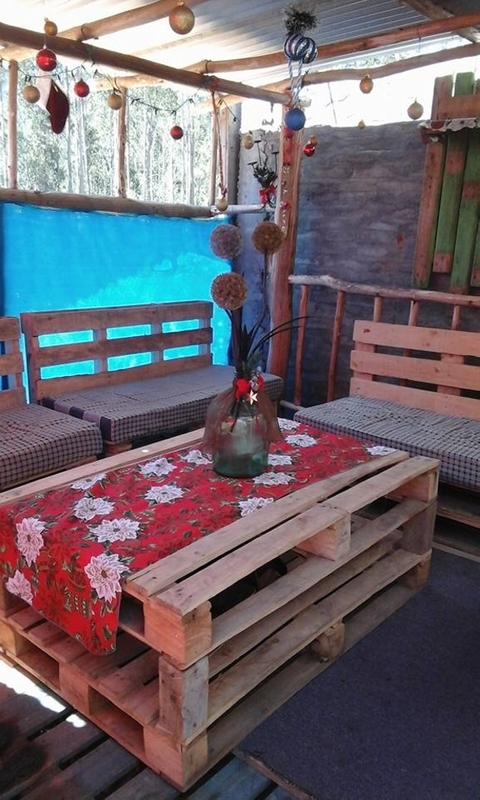 In the next we see a raw yet decent sitting arrangement with a couple of pallet wooden couches along with a fine centre table. And the positive thing about all this is that all of them are again made using the raw pallets as the basic material. Next on the list is a very cute and appealing kitchen counter. Whole corner kitchen counter is made using the pallets and is literally escalating the beauty of the kitchen interior. Well this one is a real surprising gift for the lady of the house. Having a detailed look we realize that almost each and every article lying in this scenario is made using the raw wooden pallets. 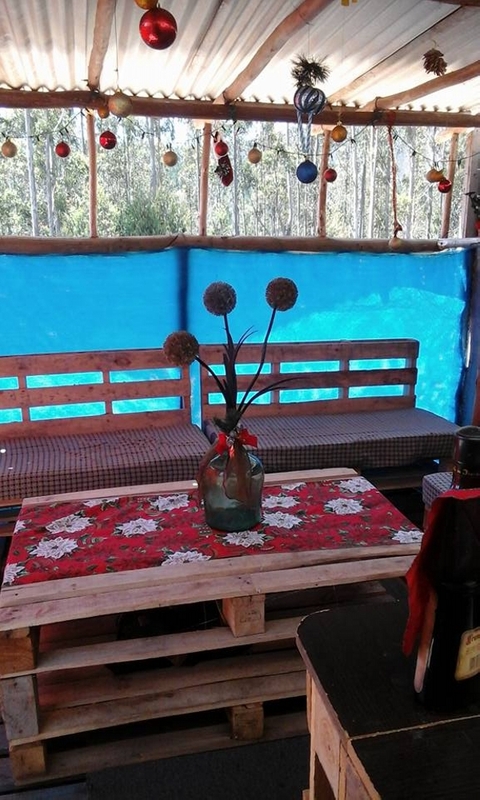 This big centre coffee table, couple of pallet couches, wall décor art idea and even the pergola we see in the background all above the set up too is upcycled with pallet wood.